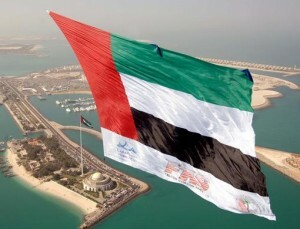 Aviva will offer new products in the Middle East through Emirates Insurance Company, starting March 2012. We tend to think of the Middle East as a gold mine because of oil. And while multinationals have long flocked to GCC countries for black gold, they have recently found another lucrative market: private health insurance. At the end of last week Aviva announced it is partnering with Abu Dhabi-based Emirates Insurance Company to offer PMI products in the UAE. Aviva customers in the UAE will now have their choice of four products specially designed for the local health system. Previously, some international policyholders had to purchase additional, local cover to fulfill certain visa requirements. As you can imagine that didn’t sit too well with most expats. Aviva’s new insurance products will be available starting March 1st, with full details to be announced after the first of the year. Current policyholders living in Abu Dhabi and the UAE will be able to switch to a new policy come renewal time. Also part of the team is Neuron–a specialist administrator based in Dubai. Neuron will manage all claims for Aviva customers receiving treatment in the UAE. It will also work closely with a network of hospitals to arrange treatment and settle invoices. Offering health provision in the UAE is complex due to different legislative requirements across each of the Emirates. We’ve worked with a specialist international law firm to help us develop bespoke solutions for our customers based in the UAE and we believe that our four products will enable us to respond to changes in legislation and customer needs both now and in the future. Aviva is just the latest firm to target the Middle East through a local partnership. Back in September, AXA partnered with Saudi Wasilah Insurance to offer its products across the Kingdom. The Middle East, like Asia, is a growing market for private insurance. This is partly a result of increased consumer awareness, partly due to reforms in public healthcare systems across the GCC. As mentioned above, Abu Dhabi has mandatory insurance requirements for all foreign residents. Similar laws could go into effect in Dubai as early as 2012. Demographics also make Middle East countries attractive to private insurers. According to a recent report from Al Masah Capital, 214 million people live in the Middle East and North Africa. That number could rise as high as 272 million by 2035 (!) The region’s average life expectancy has risen alongside population numbers, climbing from 59 to 71 over the last twenty years. Finally there is the dollars and cents of it. Average income in the Middle East has more than doubled in the last decade. Not only are more people than ever before living in this region of the world–increasing numbers of them are able to afford private insurance.